Going out of fashion? Review of "The Retreat from Class"
Should the Left Celebrate the Revolution of 1688? Editorials: 1. The Road to Peace. 2. No, we are not beaten! Click image to download full magazine. When the Royal Court Theatre decided at the last minute not to go ahead with its scheduled production of Jim Allen's play about the massacre of the Jews of Hungary in 1944, 'Perdition', a flood of discussion, polemic and recrimination was unleashed in the press. It had already been the subject of protests by various prominent Jews and of publicity in the press. A review of The Retreat From Class: A New 'True Socialism' by Ellen Meiksins Wood. 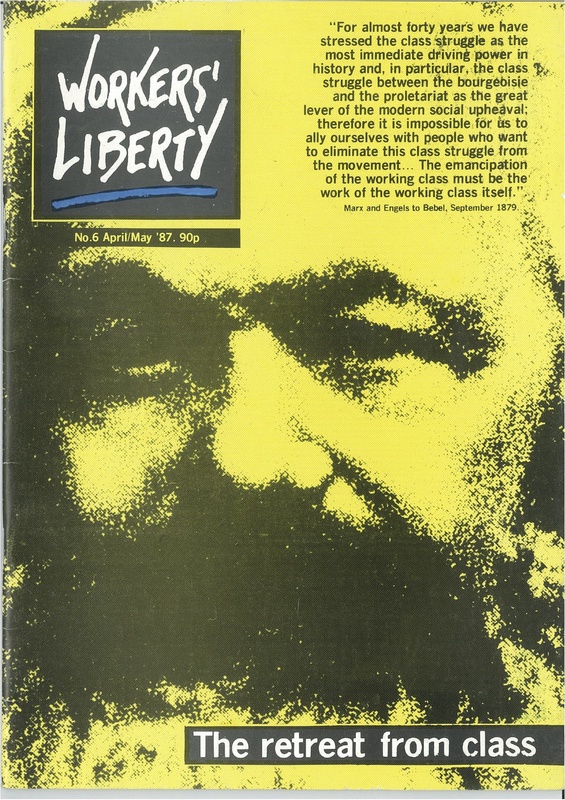 "No-one can seriously maintain that any other social movement has ever challenged the power of capital as has the working class... And for all its limitations and institutional conservatism, the labour movement has more consistently than any other social collectivity stood on the side of the various causes which the left regards as valuable and progressive". A reply to Workers' Liberty 5. Leftists are protesting against plans to celebrate the 300th anniversary of the "Glorious Revolution" of 1688. In fact the left should celebrate the 300th anniversary, and we can do it without in any way adopting the viewpoint or the politics of the Orange Order. Reviews of "Paisley", by Ed Molony and Andy Pollak; and "The Politics of Irish Freedom", by Gerry Adams.